Recently I attended the Association of American Geographers 2015 annual meeting in Chicago, IL, along with several thousand other “geographers” from around the world. Being the largest academic geography conference in the world, even navigating the program was a little overwhelming with over 6000 items, let alone the event itself. But that volume of presenters also means a lot of interesting research, and this post attempts to document some of that. I won’t be listing everything I experienced, but rather just summarising some of my highlights from the week. First up on the first day was my own presentation, as part of the session Advances in Geospatial Emergency Management, organised by Professor Matt Duckham at the University of Melbourne (one of my associate supervisors) and Professor Mark Horner at Florida State University. 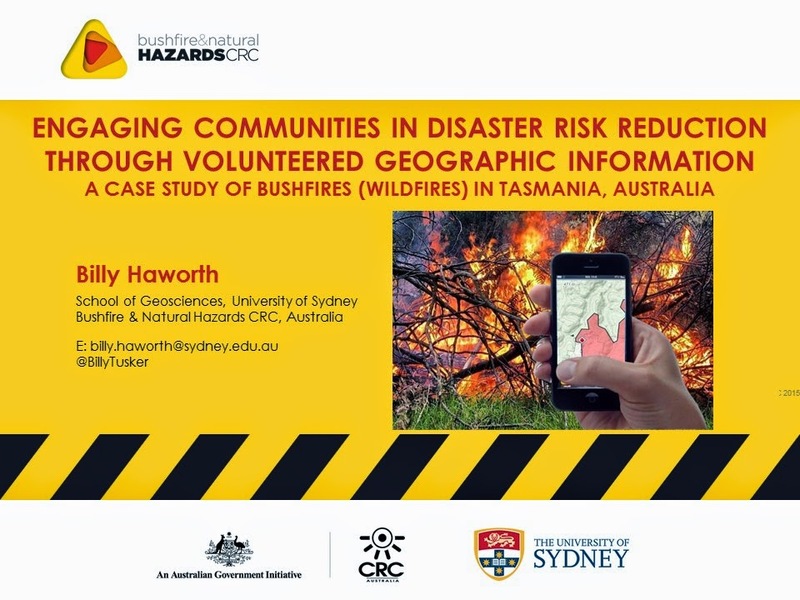 My paper, Engaging Communities in Disaster Risk Reduction through Volunteered Geographic Information: A case study of bushfires (wildfires) in Tasmania, Australia, was really a broad overview of my PhD research. 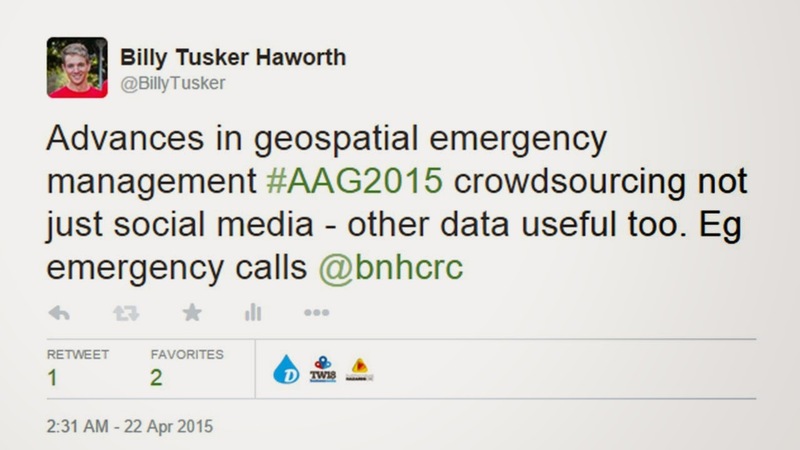 The paper described how VGI represents shifts in the way geospatial information is produced, shared, used, and experienced, resulting in changes to social practices, top-down approaches to mapping and information dissemination, and the broader disciplines of geography and GIScience, with significant implications for various applications, including emergency management. This research considers the potential of VGI to transform disaster management by thinking about VGI as a social practice and not simply a type of information. This leads to thinking about change in cultural practices in emergency management away from authoritative top-down systems. Giving power to citizens through VGI aids in sustaining community involvement in disaster management, changing behaviours, and ultimately increasing disaster resilience. The paper called for a need to critically assess the role of VGI in the important disaster management phase of preparedness by emphasizing the majority of research in this field to date has only considered disaster response. The research presented focused on VGI for increasing bushfire preparation engagement in Tasmania, outlining key research methods, such as community surveys, interviews with emergency management professionals, and community participatory mapping workshops, along with some preliminary findings. In the same session I found the impromptu presentation by Matt Duckham on some of the work from his RISER (Resilient Information Systems for Emergency Response) project very interesting. Matt argued that in a time of increased looking to social media for crowdsourced information in disaster management, there are other sources of information from that crowd that are both highly useful and sometimes perhaps more reliable. He noted that in the event of bushfire actually finding the exact location of the fire can be a real challenge, and demonstrated a model that predicted fire locations using crowdsourced data in the form of calls to the emergency services with impressive accuracy. There is a special journal issue in ‘Computers, Environment & Urban Systems’ calling for papers that accompanies this session. More details and submission information can be found here. Later in the day the panel session, CyberGIS symposium: frontiers of Big Data and urban informatics, chaired by Vonu Thakuriah of the Urban Big Data Centre, raised some interesting questions around the benefits and challenges of big data, researching with big data and theory versus data driven models, privacy, the aggregation of data and industry ownership, and democratization and the notion of an open data economy. In the morning session Analysing resilience through disaster response, risk perception and risk communication, research in Portugal showed emergency authorities to be under-prepared for ‘lower risk’ emergencies, such as hail and lightning strikes (as opposed to floods, earthquakes etc), with significant negative implications for affected communities. PhD research modelling the coverage and response times of fire services in a province of Ghana was presented, using GIS to improve the efficiency and effectiveness of existing systems while trying to predict where new fire stations should be most strategically positioned to best serve the communities in the area. What was striking in this paper to me was the difficulties associated with obtaining data in particular countries in the world, such as Ghana. The concept of tipping points in resilience theory was described by Rafael Calderón-Contreras, where at a particular point a system will either cope with stress and remain the same or change to a new state. Resilience, being ‘ready’ for disaster, and failures of authorities were common themes in this session. 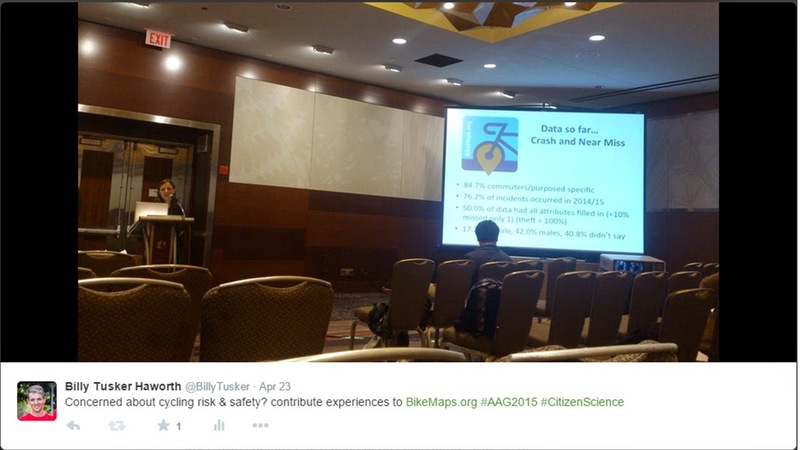 One paper I particularly enjoyed in the session Utilising Citizen Science for supporting geospatial applications was BikeMaps: A citizen science web-map for cycling safety presented by Trisalyn Nelson from the University of Victoria. BikeMaps has citizens contribute their local cycling knowledge (hazards, theft, accidents, near-misses etc) and then analyses and visualizes the data with the aim to make biking safer. The project seems highly useful and is gaining interest in places all over the world. They’ve employed some pretty fun engagement strategies, with my favourite being placing BikeMaps branded drink bottles on 500 parked bikes across the city for unsuspecting cyclists to find when they return to their bikes (information on the project and how to contribute is included inside the bottle). The other highlight of the day was a Vespucci reunion over lunch with Muki Haklay, Victoria Fast, Cheli Cresswell, Cristina Capineri and Antonello Romano. 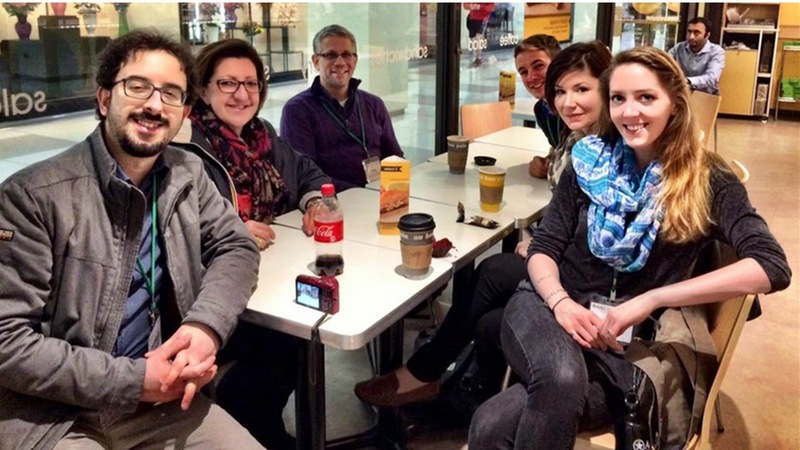 I met these guys at a summer school on VGI and Citizen Science in Italy last July so it was great to see everyone and learn how they’re doing with their research. 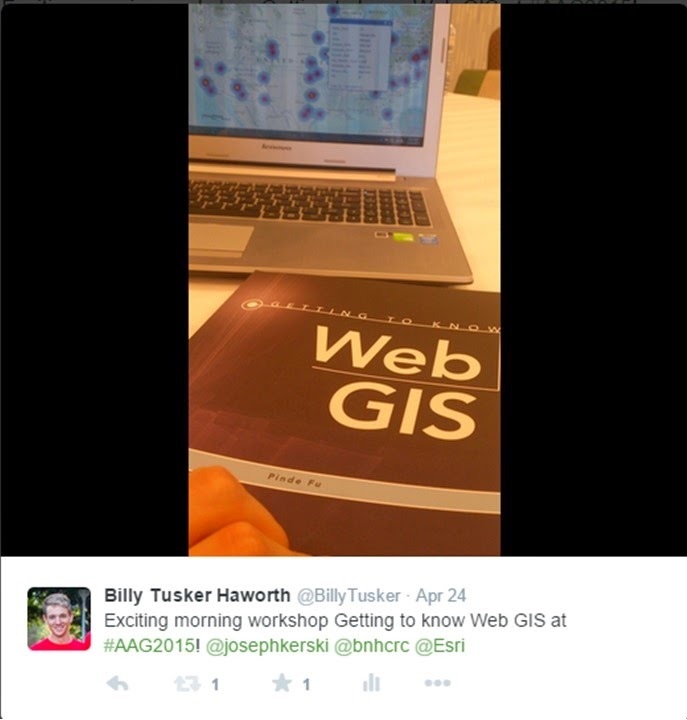 I attended an Esri workshop on teaching Web GIS. The workshop provided a guide for teaching Web GIS in classrooms. It was interesting and useful in thinking about my current teaching as a GIS tutor and for when I may be writing courses myself one day. But it was also just really interesting for myself to be exposed to a whole range of new platforms and possibilities for GIS mapping provided through Esri and ArcGIS online that I had never really explored before. Things like making interactive web maps, custom and mobile applications, easy ways for the public to contribute volunteered geographic information, and the general simplicity and quality of some of the online tools. I started to rethink how I make my maps now and got pretty excited about revisiting some of my past projects with these new tools, as well as what new projects could be possible. Really cool! The panel session New Directions in Mapping: Open Source, Crowd-sourcing and “Big Data” chaired by Matthew Zook raised some interesting debates. How do we define ‘open’ and is it the same in theory and implementation? What implications might an increase in the ubiquity of mapping and the use of passive data have for expert geography and expert map-makers? What about those citizens not represented in the ‘crowd’? 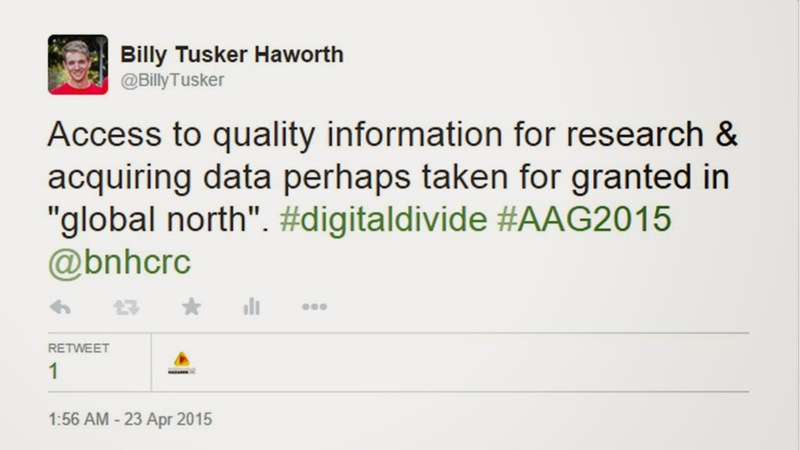 Are the gaps in crowd data more in content than in space? Probably both. Those with the loudest voices have their issues heard more (and therefore their content mapped) excluding ‘smaller’ problems (smaller in terms of voice, not importance), and there are gaps in space, E.g. how does the crowd map private land? What does opting-in mean when you can’t use a service unless you agree to terms of service? Opting-in implies there should be more control over choice than that doesn’t it? Will people opting-out become an issue for applications relying on crowd data? How do crowd data and authoritative data compare on quality? 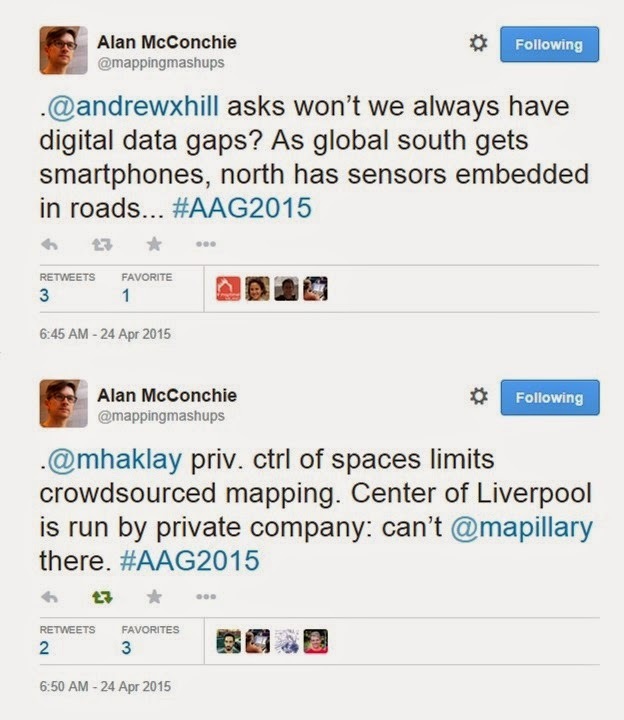 It was argued in the panel that all data has issues, it’s just that this is recognised and accepted in crowd data. Friday was mostly taken up by sessions run by Muki Haklay around motivation and enthusiasm in citizen science, and around OpenStreetMap studies (the online public mapping platform recently celebrated it’s 10th Birthday). Britta Ricker spoke about the use of drones for motivating students into science work. Drones bridge the gap between the imagery needed for science over smaller spatial scales and the spatial and temporal limitations of pubic satellite data. People seem genuinely excited by drones, but we need to also remember why are we using them (why is a drone needed for the research objective etc). I wondered if the increased engagement with the technology also extended to increased quality of learning for the students – a point I think relevant to my work on exploring the use of VGI technologies for increasing community engagement in bushfire preparation. In a project on conservation and hunting lion fish in the Caribbean, Brittany Davis then spoke about balancing participant’s enthusiasm to hunt the animal for recreation with enthusiasm to participate in the science with collection of accurate and useful data and the overall aim of conservation. For many in this study it seemed the motivation for participating was the access for them to kill the fish, not the important data collection. In regards to open research, even if your work can’t be in an open access journal, you can still make it accessible and visible through other means, such as by posting a summary on a blog. Muki also showed a video (below) made to portray some of the research associated with COST Energic around VGI and indigenous communities. I won’t describe the video too much as you can just watch for yourself if you wish. But I will say it’s a nice video with some very interesting work and I recommend giving it a look. 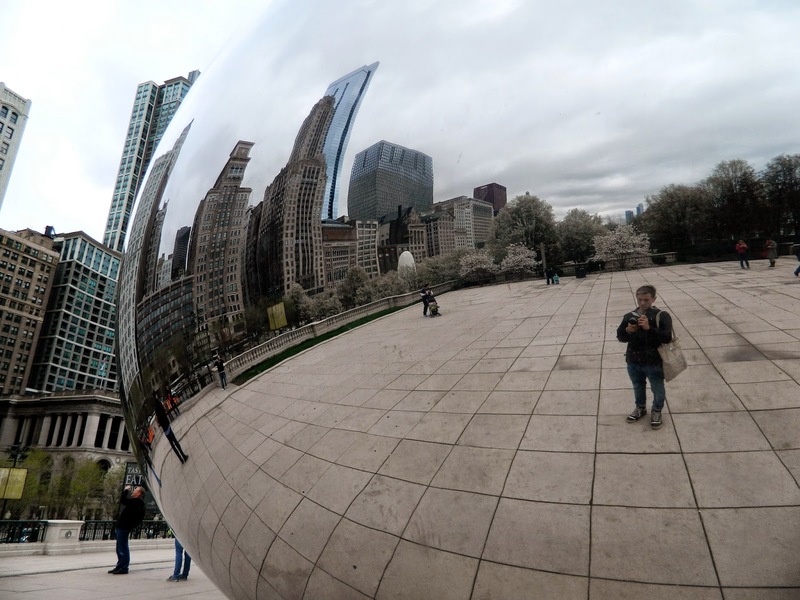 Self portrait with Cloud Gate in Millennium Park, Chicago. In 2010 I completed a Master of Applied Science (Spatial Information Science) at the University of Sydney. Working with Dr. Eleanor Bruce I produced the thesis entitled ‘Graffiti and Urban Space: A GIS Approach’. The work examined spatial and temporal patterns of graffiti occurrence in the City of Sydney local government area, utilizing both council supplied data on graffiti removal, geocoded and analysed in ArcGIS, and graffiti incidence data collected using a handheld GPS and ArcPad. Cluster analysis was performed to determine graffiti removal hotspots. The research presents graffiti as a diverse urban culture, provides evidence for the ineffectiveness of ‘rapid removal’ and ‘zero tolerance’ approaches to graffiti management, and highlights benefits of a GIS approach. 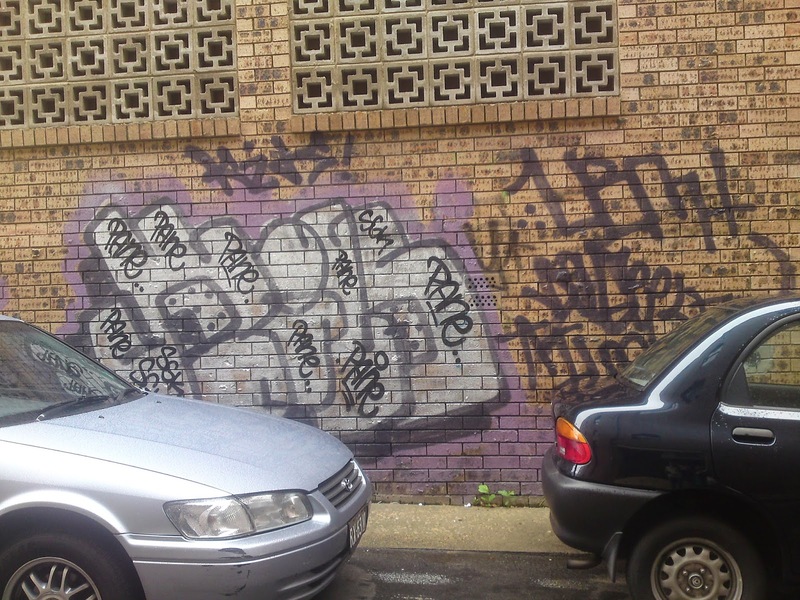 The purpose of this project was to employ spatio-temporal analysis techniques within a GIS to test some of the popular claims about the effectiveness of rapid removal graffiti policies. The policy informs that rapid removal will deter graffiti writers and reduce overall quantities of graffiti. However, research has suggested that this approach does not reduce overall graffiti but rather triggers changes in location and form. Findings of my research provide evidence for the latter. This project demonstrated the value of GIS in spatially assessing diverse phenomena in the urban environment. The project provides important quantitative evidence to complement existing qualitatively derived theories. Previously, quantitative work that had been undertaken in this area focussed almost exclusively on criminology. Significantly, my work extended spatio-temporal analysis of graffiti to examine the broader spatial practice of urban graffiti writing as a diverse cultural phenomenon. The project findings contribute to formulating better informed strategies for graffiti management – an important and relevant task for cities the world over. In 2013 I published the work in Applied Geography with Dr Eleanor Bruce and A/Prof. Kurt Iveson, and the paper can be downloaded here (behind a pay wall – sorry). The citation and abstract are below. In 2015 I won the prestigious Esri Young Scholar award for this project. Read more here. Haworth, B., Bruce, E., Iveson, K. (2013). Spatio-temporal analysis of graffiti occurrence in an inner-city urban environment. Applied Geography, 38: 53-63. Graffiti management often presents policy challenges for municipal authorities. However, the inherent diversity of graffiti culture and its role in defining urban space can be neglected when formulating response strategies. This study investigates spatio-temporal trends in graffiti across inner-city Sydney, New South Wales to support alternative perspectives on graffiti and its role in urban landscapes. Graffiti removal incidence records were geocoded to examine graffiti distribution across the City of Sydney Council Local Government Area over a six-month period. Graffiti removal ‘hotspots’ were identified using spatial cluster analysis and shifts in graffiti activity were examined through trend analysis. Specific sites within the Local Government Area were identified as a focus for repeated graffiti removal activities. Finer spatial scale GPS based mapping for a selected graffiti hotspot area in the suburb of Surry Hills showed diversity in graffiti form. While the rate of return may have decreased in the Surry Hills case study, the overall number of graffiti removal incidents increased. Rapid-removal policies can change the location, form and diversity of graffiti encouraging ‘quick and dirty’ forms of graffiti over more complex design works. Spatio-temporal variability in graffiti occurrence across inner-city Sydney highlights the need to consider graffiti as a diverse urban phenomenon when attempting to understand its occurrence and formulate response strategies.